More and more states are establishing requirements that utilities and energy companies reduce their energy consumption. This usually takes the form of helping their customers save energy, and often by way of installing smart meters so people can get a better handle on their energy consumption – how much they’re using and when they’re using it. Do you have a smart meter yet? If not, chances are you will in the next few years. A smart meter is an innovative electric meter that measures your energy consumption and can remotely report it to your utility. This saves the utility from sending someone out to your home to read your meter each month. The device is also able to signal the utility when there is a power outage and again when power is restored. Perhaps the most impressive aspect of this advanced technology is that it can provide up-to-date information on your energy use. Your utility can know down to the hour, how much energy you have used. It’s important to note that it cannot know how you used the energy. The device does not know the difference between an air conditioner and a television. It can just record the amount of energy used. Smart meters come equipped with a digital face that tracks your consumption and provides an up-to-date reading of your current usage. The device was designed to give frequent measurements of your energy consumption so you can better understand how much electricity you use. By monitoring your energy consumption daily or weekly, you can manage your energy use and make educated decisions when cutting back. While the smart meter won’t lower your energy costs, you can save money on your electricity bill by taking the knowledge gained from the meter to make changes to the way you use energy. Furthermore, if you decide to modify to your energy consumption, you can see the effect it will have on your bill firsthand by taking note of a meter reading that is higher or lower than normal. If you haven’t received a smart meter yet, plan on getting one soon. 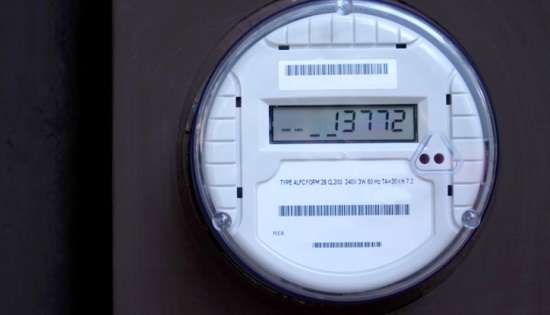 Many utilities have already begun to install smart meters across the country. You have to check with your local utility to know when your home is scheduled to receive one. If you don’t want to wait, you may be able to request that one is installed immediately. While smart meters come with many benefits, they are still surrounded by controversy. After installations began, a few smart meters overheated and caught fire. Some say this meter problem could be the result of the meter panel on the home, and not the smart meter itself. By pulling out old meters, the utility could accidentally jar a defective part of the meter base, causing it to not work properly. Though many are still skeptical, these meter malfunctions have only occurred a few times. The majority of smart meters have been installed without incident.